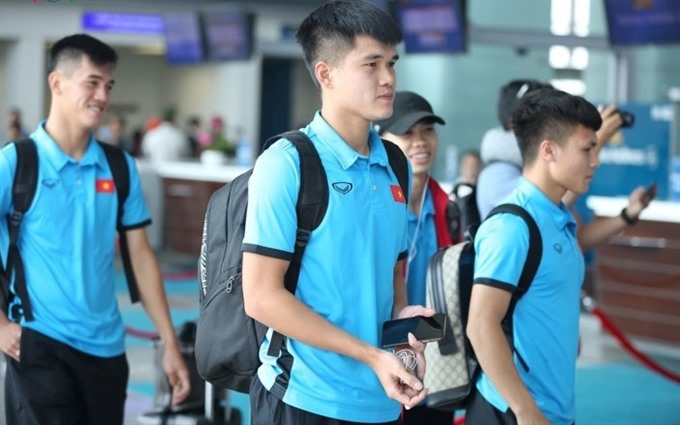 HÀ NỘI — The national flag carrier Việt Nam Airlines yesterday took the Việt Nam national football team directly to Bacolod city in the Philippines from Hà Nội’s Nội Bai International Airport for the first-leg of the semi-final of the ASEAN Football Federation (AFF) Suzuki Cup 2018, instead of the normal civilian flight journey which includes several transits. According to the carrier, it can take up to 15 hours to fly from Việt Nam to the Philippines on a normal journey due to transit time in two other cities. However, the direct flight took only about four hours, thus saving time and energy for the team.